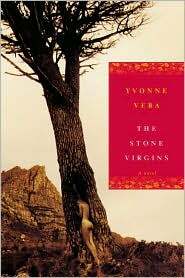 I am currently reading The Stone Virgins by Yvonne Vera. The opening chapter of the book, a good sixteen pages, describes Selbourne Avene, later renamed Leopold Takawira Avenue, of Bulawayo in Zimbabwe. Vera’s depiction of Selbourne Avenue is rich in imagery, sights and sounds. You know how a major avenue or street can define and anchor a whole town or city. How the landscape, both in terms of buildings and people, changes as you travel the street. How the history, struggles, advances and seminal moments of its people can be found in the corners and the terrain of that major avenue. I lived in Harare during my teens and then lived in New York City in my twenties to mid-thirties. And the opening pages of The Stone Virgins has reminded me of the avenues of my past, especially of Broadway in New York. Selbourne carries you straight out of the city limits and heads all the way to Johannesburg like an umbilical cord; therefore, part of that city is here. Its joys and notorious radiance are measured in the sleek gestures of city laborers, black, who voyage back and forth between Bulawayo and Johannesburg and hold that city up like a beacon; when they return home, they are quick of step and quick of voice. They have leaned more of surprise, of the unexpected: of chance. They have been dipped deep in the gold mines, helmeted, torchlit, plummeted, digging for that precious gold which is not theirs. Not at all. They are not only black; they are outsiders. They make no claim. Needless to say, I’m enjoying the book. What are the streets of your childhood? And are you living there now? Sounds like a great book. I don’t actually have any real streets in my childhood. I am from a small community in Canada. The roads I remember are the dirt road leading to the beach, the dirt road shortcut to the church, the country roads to the closest towns… The biggest of those (about 40,000 ppl) being where I live now! Don’t undervalue the dirt roads. Much life is lived on them!